From the moment you arrive at the Enchanted Valley Day Spa, you are surrounded by beauty and an environment of bliss. I invite you to breathe into the moment of health and serenity you are offering yourself with each visit. Every element of the spa area is crafted in love and beauty and designed to melt your stress away as you wrap yourself in the healing warmth of my day spa. I believe in balance. In living a full life that is complemented by pampering moments of stillness in which you are invited to breathe, relax, and enjoy my therapies. 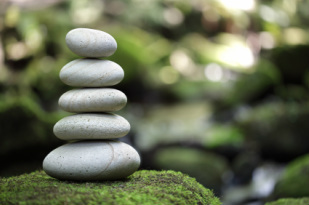 Because balance is finding a life that fulfills you, and a therapist that soothes you. 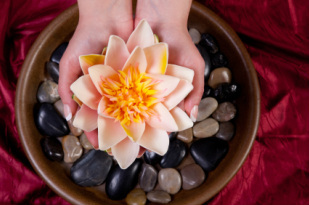 I offer a variety of services from which to choose from, but my favorite sessions are those in which my clients allow me to follow my healing intuition as I listen to their body's needs. I typically incorporate lymphatic drainage massage into all my treatments and utilize Reiki to address any blocks in the body's energy flow. It's these additional healing touches that make a "Marilyn treatment" special and what keeps my long-time clients feeling healthy and energetic. I look forward to helping you nurture your health and beauty.